Is The Tide Pod “The New Suicide Pill" for Teens? Shortly after parents around the country realized that their teen aged children were videotaping themselves putting the colorful cleaning chemical balls into their mouths (a practice commonly known as the Tide Pod Challenge) and then popping them like a zit (posting the footage to the web), mainstream media put various medical experts on camera to denounce the behavior as reckless, foolish and potentially life-threatening. Now, as a result of that health warning, the rate of suicide by Tide pods among teens went from absolute zero to now becoming the preferred method of doing oneself in. 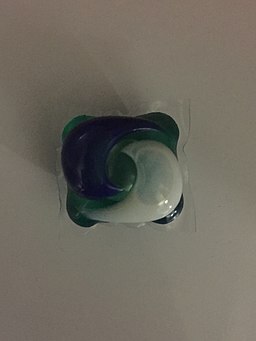 Further complicating the matter, as reported by suicide prevention hotlines around the nation, is the number callers who used a Tide pod to end their life, but changed their mind, is their inability to speak shortly after ingesting the lethal sphere and making a call to a suicide prevention hotline. All suicide prevention centers have been instructed to redirect the self-endangered callers to another outside agency for help.